Adjust cutting edges to be level and within 1mm of each other and coat blades with compound using swab or brush. This can be done whilst the blades are running in reverse lapping gear but obvious safety precautions should be taken. The selection of coarse, medium or fine will depend upon type of equipment and degree of sharpening needed. Run machine without cutting grass for up to 1 minute and re-apply if necessary. Readjust blades accordingly. Store between 0-35 degrees C. Store in tightly closed containers. Protect from frost. 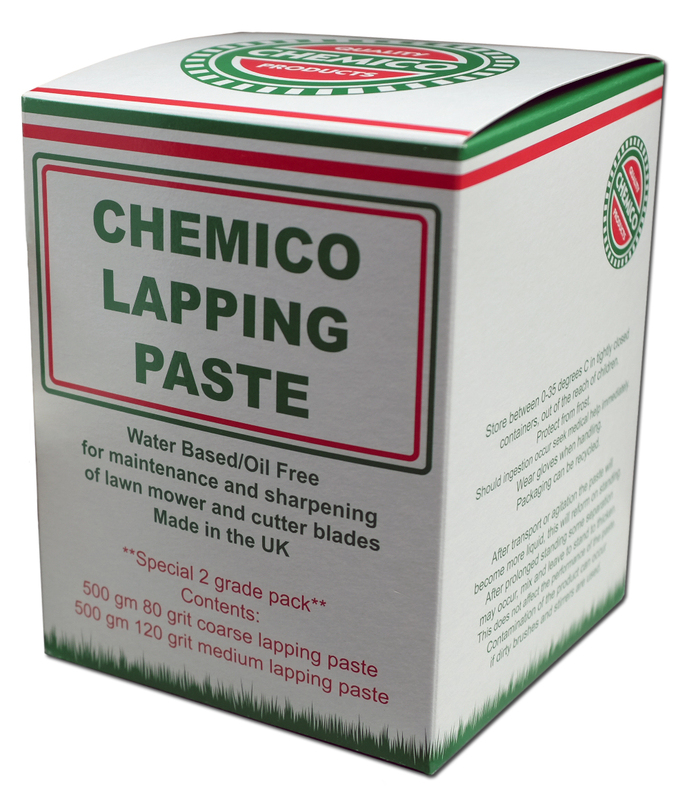 80 Grit (Coarse) for maintenance of gang mowers and rough sharpening of low cutters.